The seven page testimony makes clear and concise arguments using data from documents previously submitted as well as an item by item referencing to the specific articles within section 120 of the Marine Mammal Protection Act (MMPA) that will be violated if House Resolution (HR) 946 is passed. A point that was totally lacking in reviews written by the popular press as well as internet coverage was their failure to expose passage would severally restrict public input when such matters are subsequently considered. This would be totally contrary to what Congress had intended when the MMPA Act was passed in 1972. 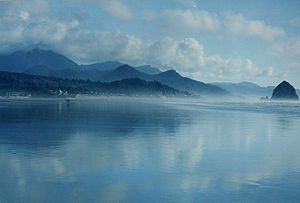 For the past forty years I have lived very near the Pacific Ocean in Cannon Beach, OR., and on occasion have witnessed dead sea lions at the shoreline. Recently after the occurrence of several dead pinnipeds I contacted local field workers from the Marine Mammal Strand Network to find what they had determined as the cause of death. Too often the response was gunshot wounds. MS. Young made reference to “vigilante” acts of the past but I am here to tell you that although marine mammals are protected, fishermen will continue to take whatever action deemed necessary to preserve what they consider their rightful catch. I mention this because these acts are purely in violation of the law under MMPA and offenders should be prosecuted, however enforcement is mostly impossible to this point in time. 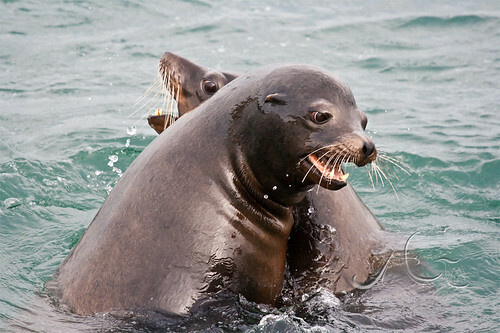 HS 946 would be a further intrusion on local sea-lion populations and only encourage continuation and potentially expanding rogue killings by threatened fishermen. Bald Eagles are for this year the balancing force which could increase the desired salmon runs and have not been mentioned in any aspect of House Resolution 946. 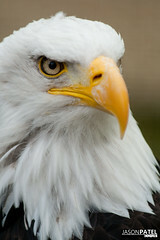 A second factor includes Bald Eagles and pinnipeds. Local coastal explores have found cases where local populations of pinnipeds after having birthed offspring only to have their young attacked and devoured by Bald Eagles, leaving only skeletal remains. The exact species of pinniped was not identified but the possibility that again a predator relationship is being established which has long-term consequences on sea-lion populations. Sharon Young in her testimony before the House SUBCOMMITTEE ON FISHERIES, WILDLIFE, OCEANS AND INSULAR AFFAIRS, indicated that only a limited number of options had been considered before coming to the decision of killing sea lions as the solution to increase salmon runs. Here again we have an apparent exploding population of Bald Eagles along the Northern coast of Oregon and along the Columbia that is involved in the recent dynamics of species. The consequences should be in the mix before HR 946 is acted upon. My final inclusion is that of Killer Whales, off shore and transient populations, who traditionally hunt pinnipeds, which is another example of controlling excess sea lion populations, if in fact such a thing really does exist. In my first post on this topic, https://championsforcetaceans.com/2011/06/30/save-columbia-river-sea-lions/, I made the connections among overfishing, declining sea lion populations and orca predation which had taken place in Alaskan waters. Sharon Young did not present any information that indicated Killer Whales could be any part of the solution. What she did testify was that other solutions existed short of killing sea lions as the solution. Please let congress know that HR 946 is not the answer and its foundation will be to the detriment of marine mammals as well as the public’s right to be involved in decisions impacting the Marine Mammal Protection Act. This entry was posted in Dolphins, Seals and tagged Columbia River, Marine mammal, Orcas, Sea lion by Kirsten Massebeau. Bookmark the permalink.